In traffic jams and numerous other situations, the radio helps us pass our time. Offering us a variety of shows with creative radio jockeys, radio channels hold our attention and do not let us get bored. While listening to these radio shows, the interesting content they offer, the sound effects that keep things spicy, and the wonderful music that is being played, many of us have wanted to create our own radio shows. Unfortunately it is not easy to get an actual independent radio show up and running. The equipment is not exactly inexpensive or easily obtained. Plus there is licensing and numerous other issues. A far more convenient alternative are internet podcasts. These are essentially the same thing as a radio show, but taking place through the internet instead of radio waves. But for the person who wants his own internet radio show, most podcast services do not meet the expectations, leaving a big gap. This gap is effectively filled by a web service called Spreaker. 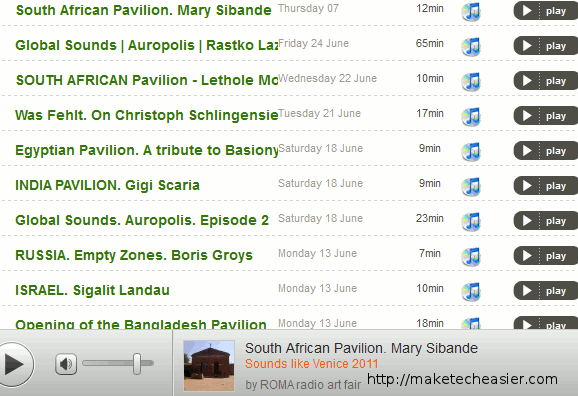 Spreaker is a wonderful web service that lets you create your own radio shows. You can easily create radio programs and record episodes for it. The episodes can be pre-recorded or broadcast live. What set Spreaker apart from its competition is that it lets you add a variety of sounds to your broadcast simultaneously – just like radio jockeys can add music and sound effects within their shows. The site offers both free and premium accounts for its users. 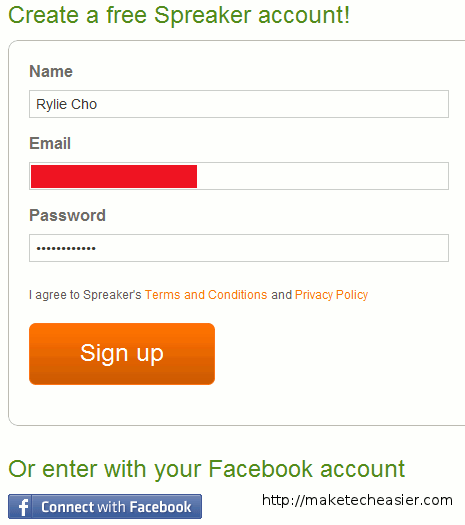 The first step in using Spreaker is creating an account on the site. You can register for a new account through your email address or use your Facebook account to connect with the site. The latter option will help in case you want to share your shows with friends on Facebook, although this connection can be made with existing accounts as well. After you have created an account, you can start recording your radio show’s episodes. 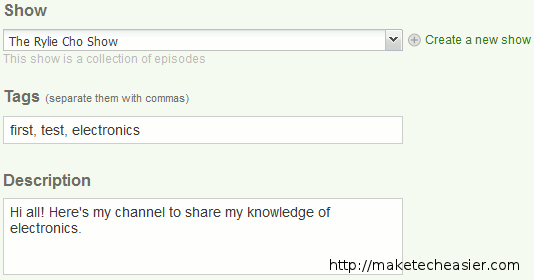 You need to name every episode and select the category its topic belongs to. You can also specify which show this episode belongs to, in case you are running multiple radio shows. With these options set, your radio broadcasting interface is loaded and displayed. 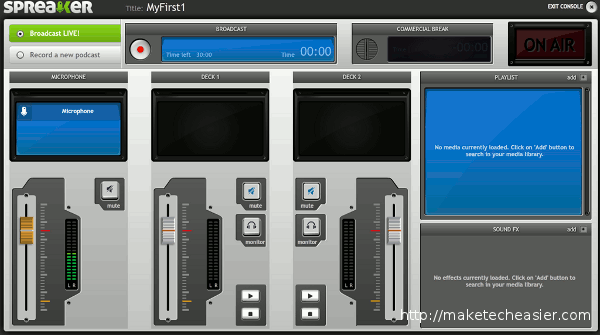 This interface lets you choose whether to record your broadcast or let it go live. It also includes three audio panels that you can customize to broadcast voice from your microphone and songs and effects from the Spreaker’s rich media library. Volume for each audio source can be adjusted to suit your preferences. Selection of songs and effects for the tracks is done in the same interface, in a very simply way. 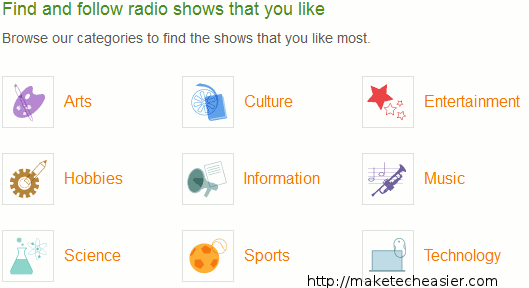 Listeners can tune into your radio station by browsing the Spreaker website and finding your station. They can categorically browse the shows they are interested in or simply search for your show by its name. Your radio channel has a unique URL so you can use that to help friends easily reach your shows. 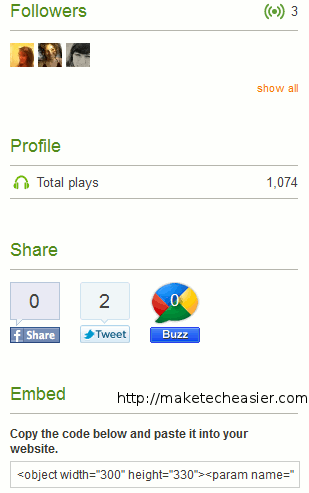 The number of show followers, total number of plays, and sharing buttons are all displayed on your show’s webpage. Also provided is an embeddable code that lets you incorporate your radio station into your own blog or website. Visitors to your station’s webpage can find all your options and play the music they want. The site also provides an iOS application to help broadcasters and listeners use Spreaker on the go. 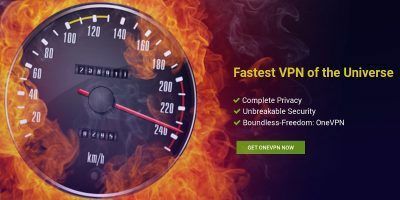 Spreaker offers a unique service. It helps the user record podcasts very similar to actual radio shows. And this feature is provided in a user-friendly and intuitive interface. 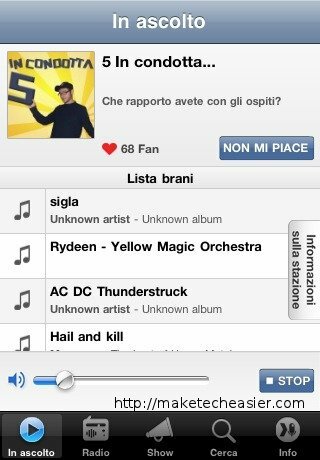 For people who wish to have their own radio show, Spreaker would be an excellent web tool to try out. KingSumo giveaway id is required in shortcode. This giveaway begins now and ends Saturday, 23th July 2011 at 2359hrs Pacific Time. The winners will be selected at random and announced via email. MakeTechEasier would like to thank Spreaker.com for their generosity while participating in this giveaway. Interested in sponsoring? We’d love to hear from you. Get in touch with us. Check out http://www.museter.com for Unlimited SHOUTcast Radio Hosting and for instructions on how to start your own radio station. Already got a radio station? Then get one of our free flash players for your online station. What Does “All Access” Add To Google Music?